Photographer Anna Mia Davidson has released her latest book, Cuba: Black and White, a series of photographs taken during her time in Cuba. Her photos tell the story of a turbulent time in during the beginning of the ban of trade and travel between Cuba and the United States. A break in diplomatic relations ultimately created a de facto embargo on information about Cuba. “As a young activist, I questioned the morality of the US embargo against Cuba. I was eager to find the positive in a country that I was forbidden to travel to by my government,” said Davidson. In 1999, at just 25 years old, Davidson made her way to Cuba to capture the Cuban people’s perspective. Ultimately, she was in search of the positive in an otherwise bureaucratically dismal situation, and although encountering moments that caused her to shift her thinking at times what she found rising to the surface was the spirit and resilience of the Cuban people. Her imagery, she explained is a personal exploration of humanity through the lens of a young woman activist. They are personal to her journey yet universal in the ability to relate on a human and soulful level. Her depictions of Cuba are very much based on her experiences in Cuba, her photos a conduit for her expression. She recalls a hitchhike to a small town a few hours from Havana with a Cuban photographer friend Davidson had made, “sharing the wind in our hair and stories of our life and all the characters we met along the way it was a bonding experience and a moment I felt a true friendship cross all cultural and political boundaries,” she said. As she spent more and more time in Cuba, Davidson started to notice the changes in a country that had faced the brunt of political and economic hardships. When she first visited, she remained open-minded as possible, listening and observing the people through her own eyes, she explained. “Propaganda exists on both sides of the coin, and as a photojournalist it becomes imperative to siphon out the noise and capture the truth and essence of the situation as you experience it,” she said. But towards the end of her photographic project in 2008, what Davidson felt was the ‘real’ Cuba, she had venture further and further from the major urban centres that were becoming tourist epicentres. 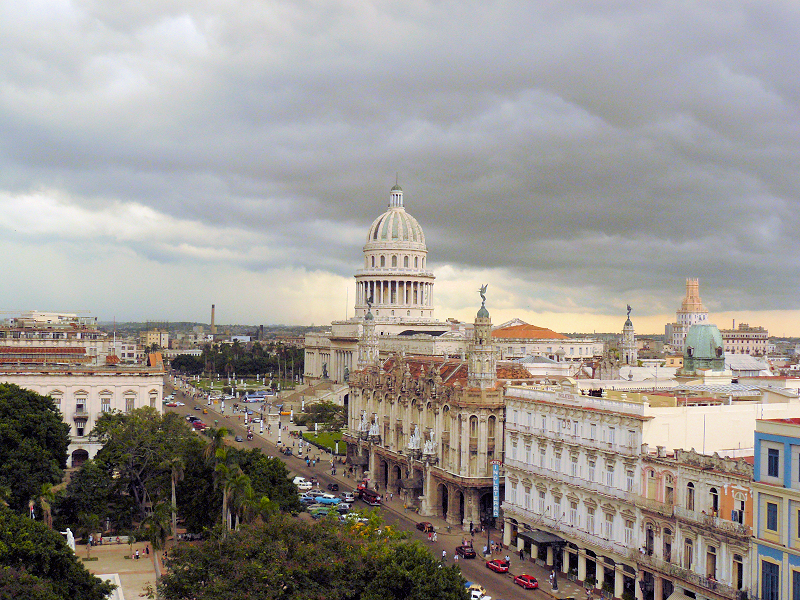 As the years progressed, it took her more time and energy to permeate the tourist façade and get deeper into the heart of Cuba. If there is nothing else, it is clear that Cuba and its people had a profound effect on Davidson. Her hope for Cuba, she explained, is that changes that come bring about more opportunities that the Cuban people themselves have hoped for and want and not what the cruel reality of capitalism at it’s worst can bring. “Like the maternity center photographs in my book which signify a microcosm of Cuba on the whole, we all wait for the inevitable…change,” she said. Dispersed among the photos of children, the elderly, life in rural Cuba, in Cuba: Black and White, we find even more fragments from Davidson’s journal that documents her thoughts and feelings, as well as some original poetry. “The streets are alive with sounds of Cuba as I go to sleep” she wrote for April 11, 2003 at Cienfuegos. Cuba: Black and White is, if nothing else, an exercise in sentience through a medium expertly expressed by Davidson. Cuba: Black and White by Anna Mia Davidson is now available in selected bookstores and online outlets. Designed by Anna Mia Davidson and Gerhard Steidl. Published by Steidl.